Denver Botanic Gardens strives to entertain and delight while spreading the collective wisdom of the Gardens through outreach, collaboration and education. Their conservation programs play a major role in saving species and protecting natural habitats for future generations. 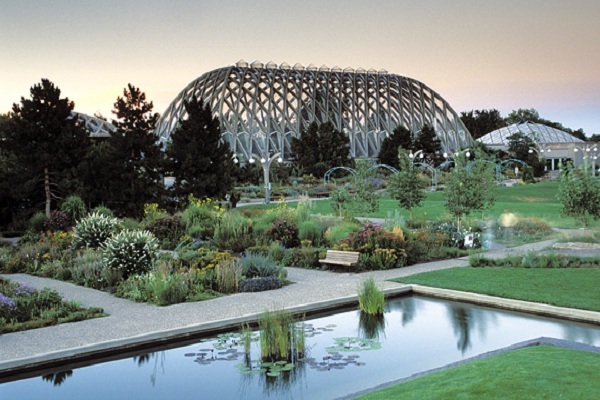 The mission of Denver Botanic Gardens is to connect people with plants, especially plants from the Rocky Mountain region and similar regions around the world, providing delight and enlightenment to everyone. The four core values of the new branding platform launched in January of 2008 are transformation, relevance, diversity and sustainability - spell out the Gardens' intentions in the years ahead. These core values, along with the Gardens' new brand platform, strategy, icon, and capital campaign, are cohesive and serve as a map to chart their course. With the support of friends, they set out to ensure Denver Botanic Gardens will forever flourish.